Our savings accounts provide different features and interest rates depending on how much you wish to invest and the type of access you need. Interested in a Business Savings Account from The Cumberland? If £1,000 was deposited in the account on opening on 1 April, assuming no further deposits or withdrawals are made, on 31 March the account balance, including interest would be £1,04.50. Interest is calculated on a daily basis, and is paid gross (without deduction of tax) annually on 31 March to your Cumberland Business current account. If £1,000 was deposited in the account on opening on 1 April, assuming no further deposits or withdrawals are made, on 31 March the account balance, including interest would be £1,010.00. This account is available to open for internet enabled Cumberland business current account customers who live in our operating area. The account can be opened at any Cumberland branch. Maximum account balance of £1,000,000. Yes. Instant access withdrawal via online transfer to your Cumberland business current account. If you close or de-register your internet banking Cumberland business current account your eSavings business account will, in the absence of alternative instruction be closed. This account is not available to schools. If £10,000 was deposited in the account on opening on 1 April, assuming no further deposits or withdrawals are made, on 31 March the account balance, including interest would be £10,055.00. The account must have a minimum opening balance of £10,000. A minimum balance of £10,000 must be maintained in the account. If the account balance falls below this at any time, interest will be paid at 0.20%. Yes. 40 days notice is required, or on demand, subject to 40 days loss of interest on the amount withdrawn. Withdrawals and deposits by crossed cheque, account transfer, cash or CHAPS (CHAPS subject to limit/charge). Withdrawals are not permited by direct debit, standing order, regular internal transfer or faster payments. Only one account is allowed per business. Fixed interest until 20 October 2020, paid on 30 September 2020. 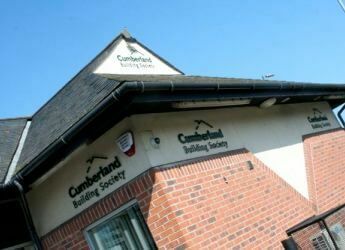 Interest is added to this account on an annual basis or can be transferred to another Cumberland account or different bank or building society account. No. The rate of interest paid on money in your account is fixed and cannot be changed by us during the term of the products. If £5,000 was deposited in the account on opening on 1 April, assuming no further deposits or withdrawals are made, on 31 March the account balance, including interest would be £5,065. The maximum balance is £1,000,000. Your Fixed Interest Fixed Term Account will mature at the end of the agreed investment term. Shortly before the end of the fixed investment term, we'll contact you with details of the options you can take on maturity, one of which may be to extend your investment for a further fixed term. You'll be able to withdraw your investment or transfer to an alternative account without penalty on the maturity date, provided you tell us on or before this date. If we receive no instructions or on before the maturity date, and a further Fixed Interest Fixed Term Account is available, your investment will be automatically rolled over into such an account on the terms and conditions applying to that account, a copy of which will be supplied before the maturity of your existing account. It's therefore important that you let us have your instructions, on or before the maturity date. No. It's not possible to withdraw from, transfer or close the account before the maturity date of the Fixed Interest Fixed Term Account. Our friendly team based in Carlisle are here to take your call and reply to your messages. We welcome new applications from new and existing customers who live within our branch operating area. 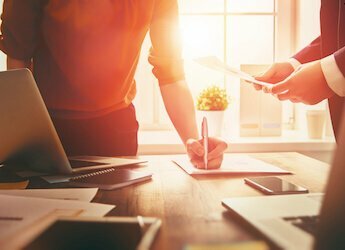 What documents do you need to open a business savings account? Can you open an eSavings account online? Yes, existing business current account customers can apply for an eSavings account via Internet Banking.